The impact of the ecology of the workplace on innovation and business success is still often overlooked. As many business owners and employees end 2011 wondering what the upcoming year holds, the reality is that many staff work in an organization that is obsolete. 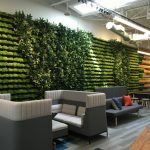 While many companies are espousing innovation and new ways of working, most organizations have failed to bring together the people and issues with the physical environment in a way that will allow them to remain relevant. Work isn’t working. For many of us, life is not a pleasurable rhythm flowing from one interesting experience to the next, but a series of suffocating regimes that leave us gasping for a sit down, lie down, or on the verge of a breakdown. Two businesses on Australia’s Gold Coast are showing how many of the problems of modern corporate life can be overcome by changing how we both design and operate our organizations. Tucked away in a re-fitted factory space on Queensland’s Gold Coast, Quadrant Creative CEO and Founder Tony Scott and his team have created a stunning workplace that is an inspiration to everyone. A mezzanine meeting room space with glass balustrading and wide, unpolished reclaimed timber floorboards overlook a space that is dramatically different from the everyday office.Ãƒâ€š By blending materials and spaces from the coolest warehouse apartment, Scott’s entire team became involved in creating the workspace they enjoy today. Scott says the benefits have been overwhelming including productivity increases of between 10-20 percent. It’s demonstrative of his taking bold steps to embrace a new concept of working. To CEOs and business owners nervous about such radical change, Scott recommends being brave. 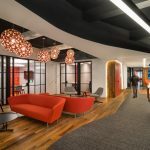 He said that the workplace design itself was inexpensive because it was a traditional fit out, but the gains in productivity and innovative thinking were even sweeter. Scott said that it’s inspiring to see the ownership his staff now takes in the business, adding that everyone now works to live — rather than the other way around. And he thinks that commitment makes a big difference in balance and sustainability of success in a rapidly changing industry. For NetEffects CEO Warren Chapman, the realization was more gradual in coming but equally transformative. NetEffects manages more than 100 customer networks, and in doing so, he gets to see the vast differences across many different companies’ cultures. Chapman said that a few companies consistently exude a positive glow — the staff members are busy, excited, and very happy. And when everyone is active, NetEffects actually has a greater challenge of finding downtime to make necessary updates. Which kind of company would you rather be running? This was the question Chapman answered when, while doing an office refit, he decided to make some dramatic changes. Chapman and his team had three basic functions and dozens of processes for those functions. Their new handbook now has just three lines. Two years on and turnover is negligible, sick leave a rarity. Interestingly, though staff can work anywhere, they all choose to come to the office each day. Never one to get caught up in the latest trend or management hype, Chapman is pragmatic about the drivers for change. Today, Chapman says that they have created an attractive work environment where teams can get to work on cutting-edge technology projects while having the freedom to carve out their own niche. And in one of the best places in the world to live. With many businesses still nervous about what the future holds, Quadrant and NetEffects are a testament to the power of what rethinking assumptions about business can achieve. Let’s hope more business is inspired to follow their lead in 2012. Designing for Chaos, Serendipity, and a Nobel Prize? Great story…. When change is the only constant in today’s economic climate flexibility can be a secret weapon. For a business to be truly flexible it has to have a culture of flexibility, not just token gestures but a culture based on mutual respect and partnership between employer and employee.